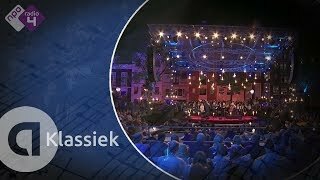 Throughout their career of more than 40 years, the Brodsky Quartet have enjoyed a busy international performing schedule, and have extensively toured the major festivals and venues throughout Australasia, North and South America, Asia, South Africa, and Europe, as well as in the UK, where the quartet is based. The quartet are also regularly recorded for radio and their performances are broadcast worldwide. 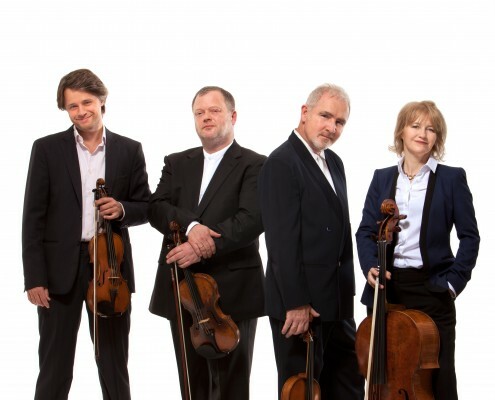 Over the years, the Brodsky Quartet have undertaken numerous performances of the complete cycles of quartets by Schubert, Beethoven, Tchaikovsky, Britten, Schoenberg, Zemlinsky, Webern and Bartok. It is, however, the complete Shostakovich cycle that has now become synonymous with their name: their 2012 London performance of the cycle resulted in their taking the prestigious title ‘Artistic Associate’ at London’s Kings Place and, in 2016, Chandos will release their second recording of the cycle, this time live from the Muziekgebouw, Amsterdam. The Brodsky Quartet have always had a busy recording career and currently enjoy an exclusive and fruitful relationship with Chandos Records. Releases on the label include Petits Fours, a celebratory album of ‘Encore’ pieces arranged exclusively by the quartet for their 40th anniversary; a Debussy compilation including the quartet’s long-awaited recording of the great Debussy Quartet; In the South, featuring works by Verdi, Paganini, Wolf and Puccini; New World Quartets, comprising works by Dvorak, Copland, Gershwin and Brubeck; the quartets of Zemlinsky, including the world premiere recording of his unpublished early quartet; and the first of two Brahms discs, which includes the iconic Clarinet Quintet with collaborating partner Michael Collins. 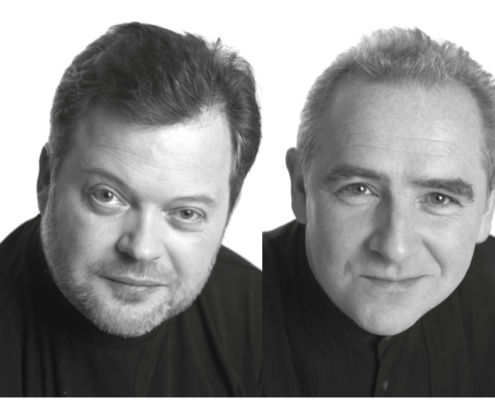 Awards for recordings include the Diapason D’Or and the CHOC du Monde de la Musique for their recordings of string quartets by Britten, Beethoven and Janacek, and, for their outstanding contribution to innovation in programming, the Brodsky Quartet have received a Royal Philharmonic Society Award. 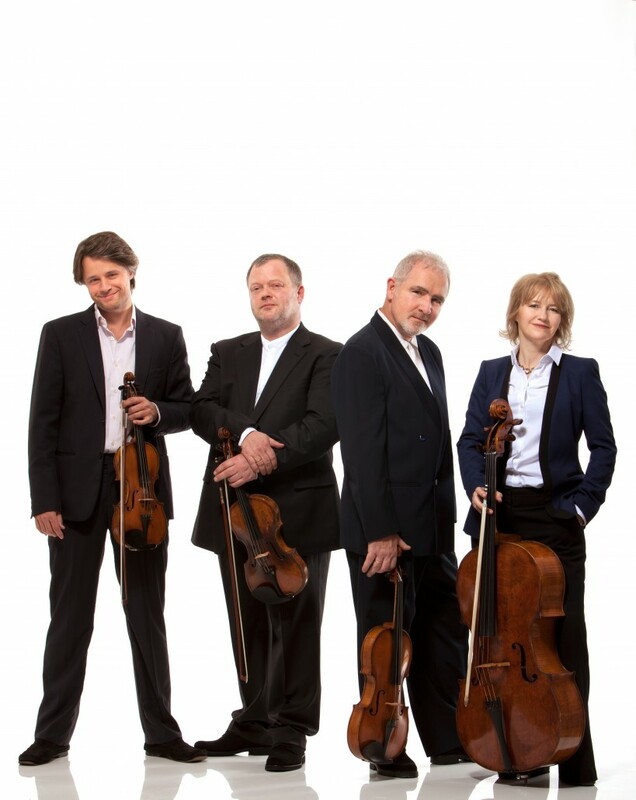 The quartet have taught at many international chamber music courses and have held residencies in several music institutes including, at the start of their career, the first such post at the University of Cambridge and, more recently, at the Royal Conservatoire of Scotland, where they are visiting International Fellows in Chamber Music. 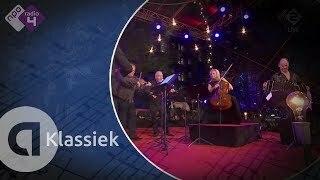 The quartet took their name from the great Russian violinist Adolf Brodsky, the dedicatee of Tchaikovsky’s violin concerto and a passionate chamber musician. Daniel Rowland plays a violin made by Lorenzo Storioni of Cremona in 1793; Ian Belton’s violin is by Giovanni Paolo Maggini, c.1615, and Paul Cassidy plays on La Delfina viola, c.1720, courtesy of Sra. Delfina Entrecanales. Jacqueline Thomas plays a cello made by Thomas Perry in 1785. Francisco Fullana, Brodsky Quartet, Francesca Dego and Shlomo Mintz celebrates OSUG 65th Anniversary! 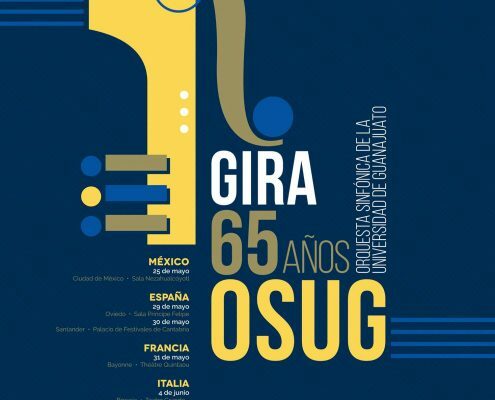 https://belenalonsomanagement.com/wp-content/uploads/2017/05/Gira-Europea-65-Aniversario-Orquesta-Sinfónica-de-la-Universidad-Guanajuato-OSUG.jpg 2048 1467 BA Management https://belenalonsomanagement.com/wp-content/uploads/2015/01/logo-más-amplio.png BA Management2017-05-23 09:27:032017-05-23 09:27:03Francisco Fullana, Brodsky Quartet, Francesca Dego and Shlomo Mintz celebrates OSUG 65th Anniversary! [ In celebration of the Brodsky Quartet’s 40th anniversary in 2012 they presented the ‘Wheel of 4Tunes’! This fantastic event promises a diverse programme of music chosen in an informal and fun way. Throughout the evening the wheel will be spun to create a programme from a selection of 40 of their favourite quartets and short pieces. The music will all be kept at the quartet’s feet throughout the concert and each piece will be picked out as it arises! The quartet will also discuss the music and invite questions from the audience – creating an ‘Audience with the Brodskys’ feel. 1st spin – All the pieces in this section are typical ‘openers’ of around 5-10 minutes long and range from Mozart and Schubert to Piazolla and Turina. 2nd spin – These pieces are about 20 minutes long and again show a wide range of composers from Beethoven to Britten. They are all pieces that the Brodsky Quartet would offer in many of their concerts. 3rd spin – This section presents works that were written in the quartet’s lifetime – a great opportunity for audiences to hear something new. Shostakovich’s string quartets are seen by many as being autobiographical. They were written spanning 3 and a half decades from 1938 to 1974 from his early thirties to the year before he died. The Brodsky Quartet can perform all 15 quartets in 5 concerts over 3 days or spread over a season. They can be grouped in a number of different ways, either in chronological order or linked by themes. Successful performances have been given recently in Sydney and Melbourne, Australia; Kings Place in London and Bristol. This is also a great project to join with a university or conservatoire. The quartets can be shared between student quartets who have been coached, students who are joined by one member of the Brodsky quartet, just the Brodsky Quartet and often String Quartet No.8 is performed as a chamber orchestra with all participating students involved.